Tulare dentist Dr. Marvizi has been in the dental private practice sector for close to 30 years! He thrives on making strong connections with his patients, and he gets pleasure watching families mature through their dental care. But that’s not all! 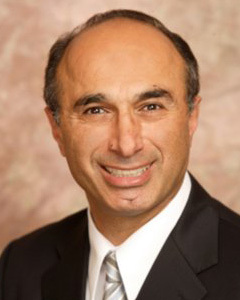 Dr. Marvizi continues to learn cutting-edge techniques in the dental field, delivering the highest quality care to his patients. He stays active in the dental community as an associate fellow of the International Congress of Oral Implantology (ICOI), the Misch Implant Institute, the American Academy of Implant Dentistry (AAID), and the Dental Organization for Conscious Sedation. He truly wants to offer his patients an easy experience at the dentist with maximum results. 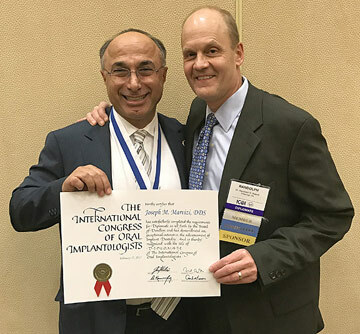 Dr. Marvizi has been awarded the advanced status of Board Certified Diplomate by the International Congress of Oral Implantologists (ICOI) for his outstanding work and expertise in the field of dental implant surgery and restoration. Having to have an active ICOI Fellowship or IPS Mastership. Provide a listing of at least 60 dental implant cases which totals at least two hundred (200) or more individual implants or ancillary procedures and restoration of at least one hundred (100) or more implants all at least 1 year old. Having completed over 150 hours of continuing implant education in the previous 5 years. Required recommendations by the committee.